Rocket® DUO™ IUI Catheters are the latest generation of two part insemination catheters designed to improve ease of insertion and minimise uterine trauma. 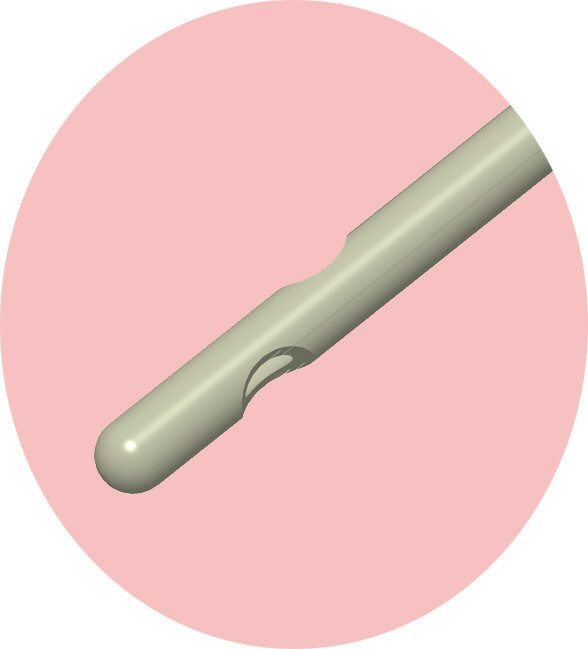 TWO PART CONSTRUCTION IUI with smooth outer sheath with high memory characteristics ensures ease of insertion, particularly in those patients where access to the external os is difficult. COMPETITIVELY PRICED to provide excellent value in routine IUI. STERILE - Packed in peel pouches, 25 per carton, intended for one time use. 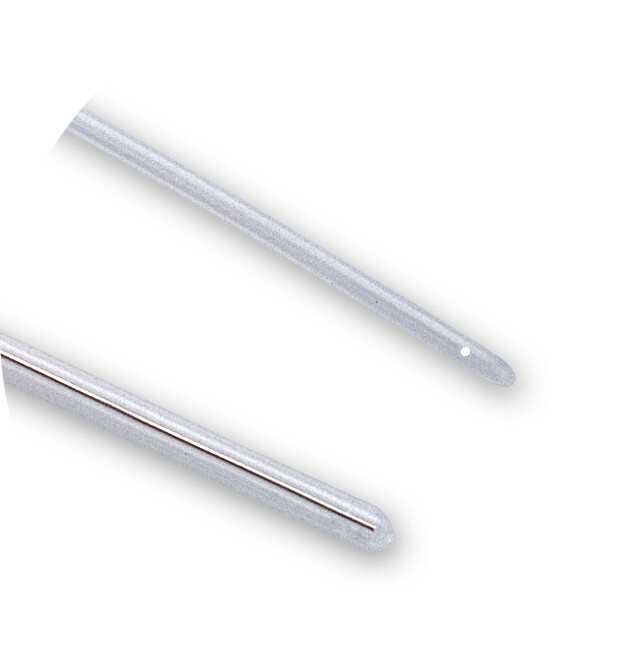 (a) Inner Transfer Catheter: Polyurethane OD: 1.4 mm, ID: 0.9 mm, fully domed, dual side eye. (b) Outer Sheath: HDPE, 5 x 1cm marking from distal tip. 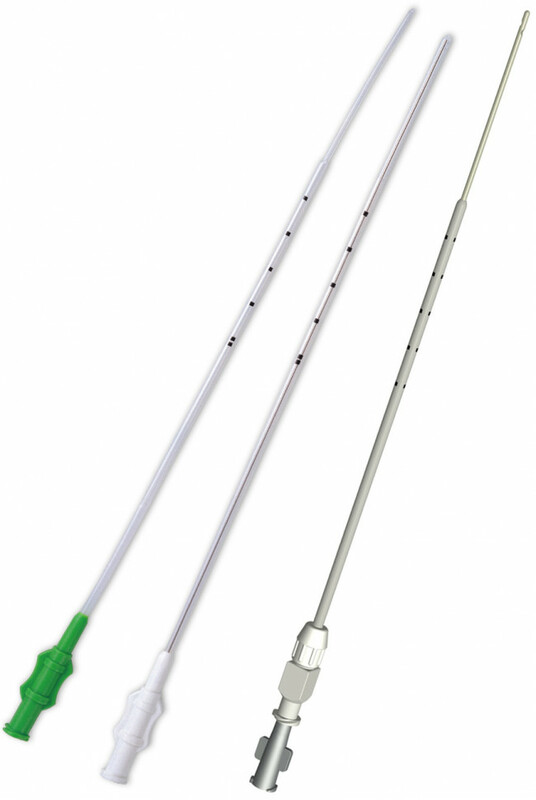 Rocket ESL™ IUI Catheters from Rocket Medical provide the ideal solution for routine intrauterine insemination, whereas Rocket EDL™ Double Lumen IUI Catheters, are designed for insemination where cervical access is complicated by excessive retroversion, anteversion or cervical stenosis. ESL™ SINGLE LUMEN, dual diameter catheter with 5 x 1cm markings, atraumatic distal tip and dual sides eyes for easy, gentle insemination. EDL™ DOUBLE LUMEN catheter with integral stylet wire, 5 x 1cm marking, atraumatic distal tip and dual sides eyes for insemination where a malleable catheter is required to gain access. Inner: 176 x 1.58 x 0.71mm. 40mm active length – polythene. Inner Sylet: stainless steel.